SAN FRANCISCO – After a narrower-than-expected loss in a special election in Ohio, the Democratic Party has spent their entire second quarter fundraising haul on a platinum gavel for Minority Leader Nancy Pelosi (D, CA-12). They previously purchased her a diamond gavel after a narrow special election loss in Arizona. “We beat the spread!” exclaimed Democratic National Committee Chairman Tom Perez. 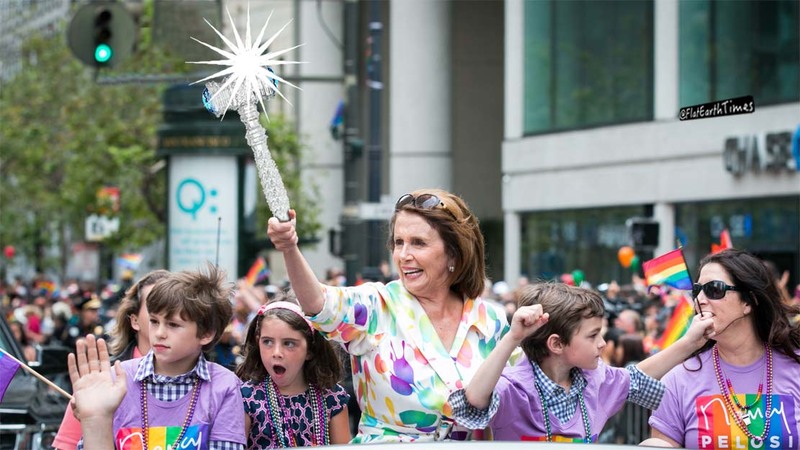 Now happily anticipating taking control of the House of Representatives in November, the party is celebrating by giving past-and-future Speaker of the House Nancy Pelosi the gavel she will use on the House floor. Democrat Danny O’Connor appears to have narrowly lost the Ohio Special Election for the state’s 11th congressional district to Republican Troy Balderson. “Leader Pelosi has been such an inspiring figure for all of us in defeating ‘President’ Trump yet again by losing elections more narrowly than usual,” said Mr. Perez. “She deserves our appreciation for will-having-been delivered us total victory in November” he finished, without blinking. Riding a wave of angry sentiment against President Trump, Democratic Party groups were able to invest $39 million worth of solid platinum coating onto Mrs. Pelosi’s new gavel. With the Democrats’ lead on generic congressional shrinking, some suggest the massive fortune could have better been spent on get-out-the-vote efforts and outreach for lesser-known candidates in competitive districts. Nancy Pelosi could not be reached for comment, as she was testing her gavel on various photos of Danny O’Connor.